Tolkien | Vikings, Books, etc. Happy Father’s Day! I didn’t get a chance to hang out with my dad this weekend (being on the other side of the country), but I did get to do some traveling and detectiving with my brother to try and figure out where in Northern MN my great-grandfather Hjalmar worked (nothing confirmed, but we learned a lot about the area at the time he was there). To pair with my Mother’s Day post (and because I have an awesome dad as well as an awesome mother, and know many awesome dads), here are a handful of interesting fathers from the Old Norse sources. As I’ve mentioned before, the medieval Norse sources are pretty patriarchally oriented, so we actually get a larger number of fathers showing up as significant characters than mothers (though let me note that it was really a shame that I mentioned Laxdæla saga in my Mother’s Day post without mentioning Melkorka, the Irish princess-in-secret whose son and grandson figure quite prominently there…). Kveldulfr, Skallagrímr, and Egill in Egils saga Skallagrímssonar (The Saga of Egil the son of Baldy-Grim–free version here, current [and better] translation here). Like-father, like-son features prominently here, as the Berserkr + Werewolf (“Kveldulfr” = “Evening Wolf,” and he marries the daughter of a berserkr) characteristics of the first generation manifest in decreasingly supernatural ways in the next two generations (well, that is how I read the saga, anyway). 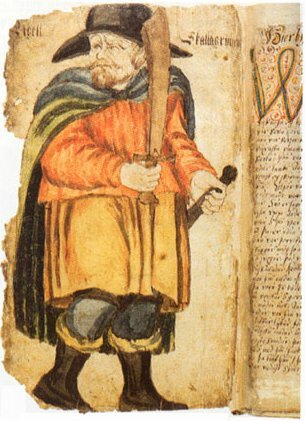 While Kveldulfr is said to become a wolf in the evenings, his son Skallagrímr gets stronger, angrier, and completely unreasonable (ie, berserk-like) the later in the evening it gets (which, incidentally, leads to him nearly killing his son, and results in a little father-son mini-feud in true saga style). Egill is just plain ornery, but is certainly compared to a troll at least once, and in my own work (a conference paper and a field paper–need to polish it up one day so that it’s publishable and up-to-date) I have argued that Egill’s self-identification as a Viking (esp. taken with his close relationship w/ Óðinn and his magical skillz) associate him with the pagan past in a way similar to the more explicitly monstrous werewolf/berserkr angle, even if it’s a bit more watered down (he comes at a point deeper in the more historically/realistically portrayed Saga Age, after all). Well, it’s been a LONG time since I’ve worked on that, so I’ll put together a more thorough post w/ some notes on the relevant secondary lit some other time. Both Skallagrímr and Egill get particularly troublesome for their children in their old age, hiding gold rather than passing it on, threatening to cause a scene at the Alþingi, stuff like that– although the scene with his daughter Þorgerðr (who connects this narrative to Laxdæla and is also another significant mother in the sagas) after the death of his son (leading to the poem Sonatorrek) is quite touching (and funny). There is also a good amount of father-son advice, tragedy,revenge, and other touching moments during the first half of the saga, as the feud between Kveldulf’s sons and grandsons and the Norwegian royal family starts out, deepens, climaxes, and lingers. Anyway, one of my favorite sagas, in case you haven’t noticed, so check it out! Speaking of werewolves, let’s not forget the coming-of-age romp in the forest in chapter 8 of Völsunga saga. Start several chapters earlier with the death of Völsung for the full incestuous revenge narrative, but look, you should really just read the whole thing. I’ve linked to Finch’s combined edition/translation, so every other page will be in English. There is also a translation out there by Jesse Byock and one (that I believe is out of print and very expensive) by Kaaren Grimstad (oh, and one by GK Anderson–haven’t seen that one or the Grimstad one). I actually like the Finch one (which is part of the same series as the Tolkien edition/translation I mention below), so it’s nice that it’s available online now! And lest you think that only sons get any love from their heroic fathers, check out Christopher Tolkien’s (yes, THAT Christopher Tolkien) edition/translation of Hervarar saga ok Heiðreks, in which warrior maiden Hervör rather forcibly convinces the ghost of her berserkr father Angantyr (killed, incidentally, by my great grandfather Hjalmar’s name-sake) to give her his sword Tyrfing. Later in the saga you also can find a nice antecedent to the riddling scene in a certain children’s book by Christopher’s father. See also the Eddic poem Hervararkviða (haven’t checked the translation–posting this pretty quickly as it is quite late now!). Tolkien’s first Christmas. From wikipedia. Just a quick “Happy Birthday” for JRR Tolkien! When I was in 3rd grade I decided I wanted to be a novelist. Then I read JRR Tolkien, and decided I wanted to be him. Then I found out that Tolkien studied Old English and Old Norse for a living, and I thought, well, that must be just as fun! And so here I am. But OK, I’d really like to find some more time for novelisting (novelizing? ), I have to admit. In the meantime there is this blog, plus my published poems, which you can find listed under the “Who I am” section. Actually, when I first read The Hobbit in 3rd or 4th grade (can’t remember exactly–but I’d read LOTR by 4th grade, I’m sure), I put it aside after the first chapter or two. I don’t think it was that I didn’t like it–I just get myself distracted by way too many other books that I was working through, and often the new, more challenging (yet more rewarding) books would be left till later. This has actually been the case for some of my favorite books over the years–The Hobbit, Stone and Flute, Winter’s Tale, and The Anvil of Ice, among others. But I eventually came back to Hobbit more “ready” for it, and it has been a favorite ever since. My Tolkien pic on hearing that he had been considered for the Nobel Prize 50 years ago. Anyway, Happy Birthday Tollers! I have to admit, I liked it better when I first discovered you and thought that I was the only one who knew about your genius… now I’ve got to share you with the world. Can’t even say I liked you before you were popular (darn those hippies and their out-hiptsering me!). Oh well. Glad you were here, and glad you left some neat stuff behind. Hope you’ve made some progress on your many-leafed tree and are enjoying the view of the mountains. As a Tolkien fan and a Scandinavianist, I’ve had a bit of a mixed reaction to the recent news. Tolkien considered for a Nobel Prize back in 1961! Wow, how exciting! A Swedish literary prize for an author and academic who worked in Medieval Scandinavian (OK, and English) literature (there’s hope for me yet…) That said, the dismissal (he didn’t actually get the prize, after all) is pretty harsh. 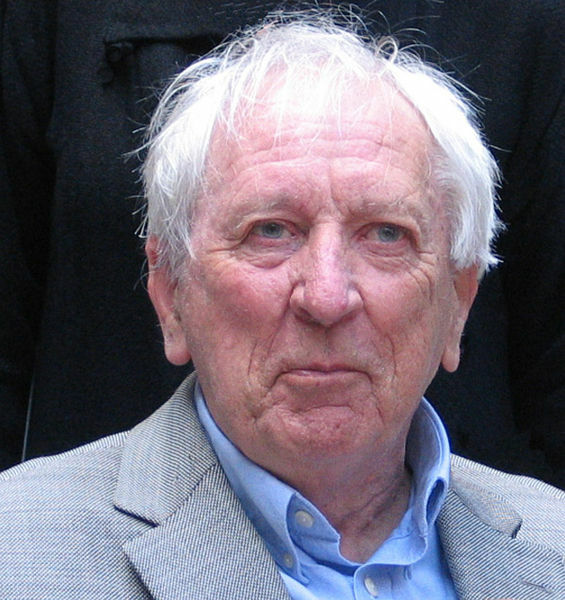 Anders Österling, the secretary of the Swedish Academy at the time, insisted that the writing was not in any way of the highest class. More on that below. The news has come up as the relevant documents have just become unclassified. Others who missed out in 1961: Graham Greene, Karen Blixen (another Scandinavian! ), Robert Frost, E.M. Forester, John Steinbeck (who got it the next year), and Giula Scappino Murena. The winner was Yugoslavian author Ivo Andrić. So Tolkien lost because of bad prose? I’ve heard a variety of opinions about Tolkien’s prosefrom writers I know, though I don’t think I’ve had anyone totally pan him. I remember at least one who was frustrated with all the long winded descriptions throughout the book, while others consider Tolkien a master of his art. Ursula LeGuin has written at least one essay on Tolkien’s skill in rhythmic patterning (a copy of the essay is in The Wave in the Mind, which I also recommend for the essay on oral communication), and I’ve always enjoyed his prose myself (but I suppose he stands out all the more in contrast to the best selling Tolkien-hacks that have followed him– just the memory of some of the prose I’ve read makes me shudder…) But in the spirit of Reception theory, let’s keep in mind that the appeal of an author’s prose can vary pretty widely from person to person, as well as between discourse communities. Mark Helprin’s Winter’s Tale was recommended to me because of the “beautiful prose”, but I’ve run across at least one very intelligent and well-read reviewer who just could not stand Helprin’s overwrought and flowery writing. I liked it, myself. Hemingway is also good, but I don’t want everything I read to be so spare. I’ve had a pretty visceral experience with shifting prose-expectations myself, which I believe I have already mentioned a few times regarding Kathy Tyer’s book Shivering World. I first read this back in the late 90s or early 2000s and really enjoyed it. So did others apparently–it was nominated for a Nebula Award in the early 90s. In the mid 2000s it was rewritten and published in the Christian market. Curious, I picked it up and started rereading it. Within the first paragraph I was struck with… well, a really uncomfortable feeling. Maybe a bit of Freud’s “uncanny“. I took the original version and compared the two side by side, and sure enough, the phrasing had been changed around. I can’t remember how drastically this was done (and I’ve misplaced my original version), but the first version felt like science fiction, and the other didn’t. All that to say, I think “genre fiction” has its own rules for the authors of the science fiction and fantasy ghetto to deal with (whether they break them or follow them). Tolkien predates this “ghetto” to a degree (he is arguably one of the creators, though it certainly comes out of Golden Age sci-fi as well), but I wonder if there was a similar problem of expectations involved. That said, I will admit that I find much of Tolkien’s poetry throughout the LOTR to be not particularly satisfying. I have read poems by him which I have liked very much, but as far as LOTR goes, I can see how a high caliber poet like Österling would be especially put off by Tolkien’s own versifying. 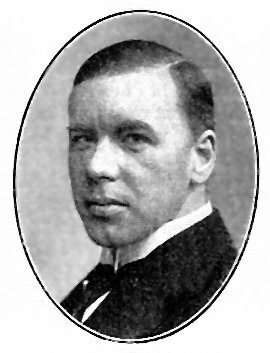 Österling himself is described as “the last of the previous century’s [=1800s] great poets” in Göran Hägg‘s Den svenska litteraturhistorien (=”The History of Swedish Literature”), although he only debuted in 1904 (at 20 years old, however–better than I did). I haven’t had a chance to get my hands on his work yet, but from what I understand much of Österling’s own poetry is relatively romantic in nature, dwelling on bits of folklore (bäckahästen, the water sprite), rural and wild landscapes, and the remnants of ancient times (Hägg’s book includes a beautiful final stanza from a poem on Ales stenar, though it is perhaps more beautiful to me as I remember being there myself, on the headlands in southern Skåne). One might expect two such romantics to get along fine, but I can imagine a more “traditional” literary type like Österling finding Tolkien’s headlong (and apparently unironic) dive into a world of gods and heroes to be… well, a little silly. No matter. I still like it. And I think I could probably enjoy Österling’s work too. Makes me want to write. Well, write something more than a blog (I did sketch out a new poem today–we’ll see if it ever becomes anything). To close this discussion off, let’s note that Tolkien was nominated for the Nobel Prize by his friend C.S. Lewis. Inklings freaks rejoice. Lewis and Tolkien were united in their distaste for modern literature, so Österling’s dismissal is no more surprising than Lewis’ endorsement, but I find it interesting that Tolkien was considered in 1961–long after Tolkien and Lewis had “fallen out”, or perhaps we should say “drifted apart”, as I don’t believe there was ever a really fight or anything like that. I think it’s touching that Lewis did this. Sure, friends nominating friends maybe diminishes some of the “Yeah, Tolkien almost got a Nobel!” effect, but neither of them were really playing by the same rules as the literary status quo at the time. And while I do value literary excellence, I value friendship in spite of differences all the more. Um, not cronyism though. But hey, if you’d like to nominate me for the Nobel Prize, go ahead. Haha, I’m such a sap. Ah well.